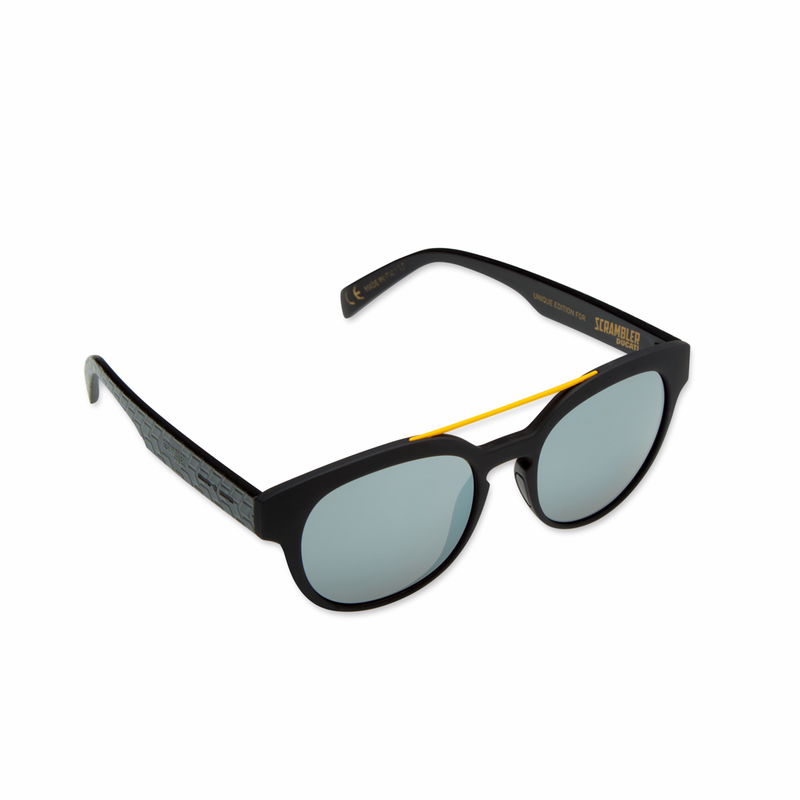 Classic-shaped male sunglasses, created in high resistance plastic. The “gum” finish is scratch resistant and gives a pleasant sensation to the touch. Silver-colored mirrored lenses match the color of the frame perfectly. With style!